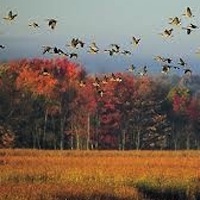 Montezuma National Wildlife Refuge is famously fabulous for viewing shorebirds in mid-September. Meet up with a Beaver Lake naturalist and other interested individuals for a road trip to Montezuma's mudflats. Most birding will be done from the van, but the trip will also include an opportunity for a short birding hike. Bring your binoculars and a lunch.